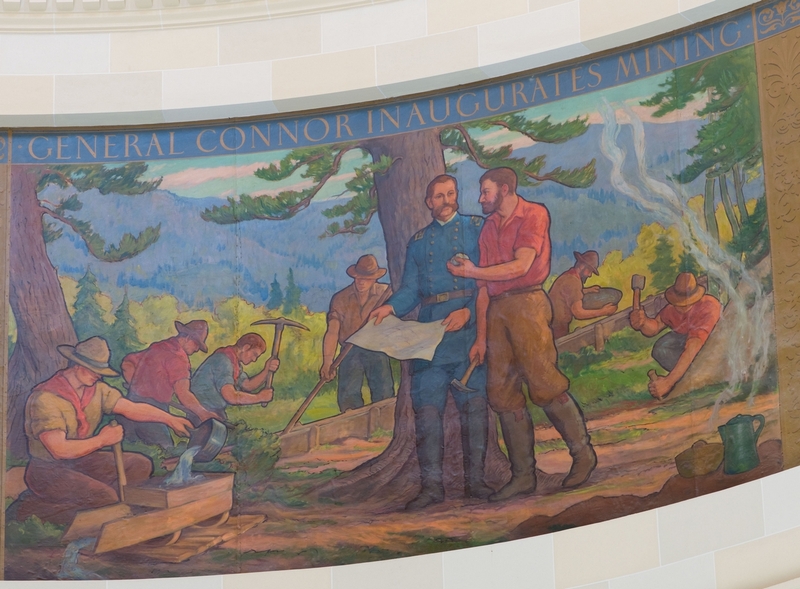 The Rotunda was left unfinished for nearly 20 years until the Public Works of Art Project (PWAP) funded art commissions for the Capitol. 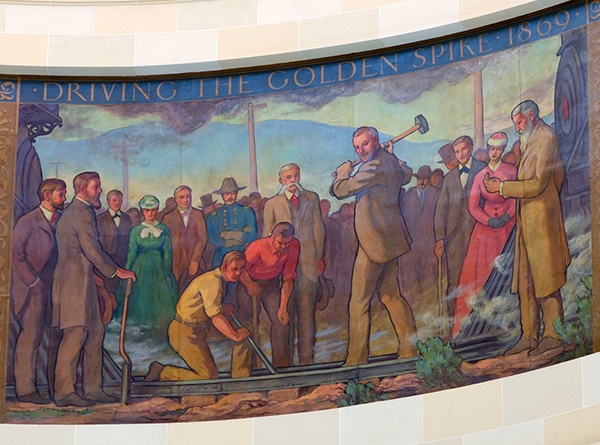 Utah artist Lee Greene Richards planned and sketched each of the paintings, but the massive project included the work of other Utah artists such as Gordon Cope and Henry Rasmussen. 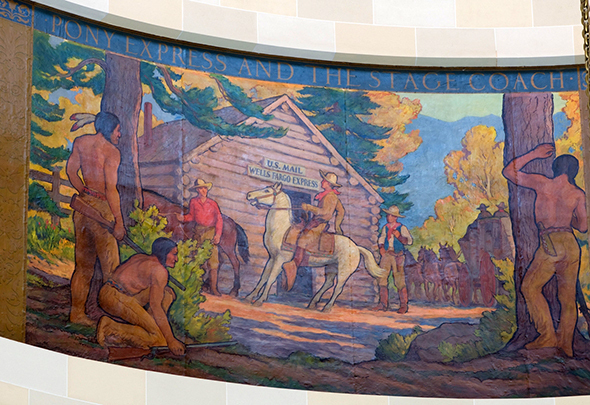 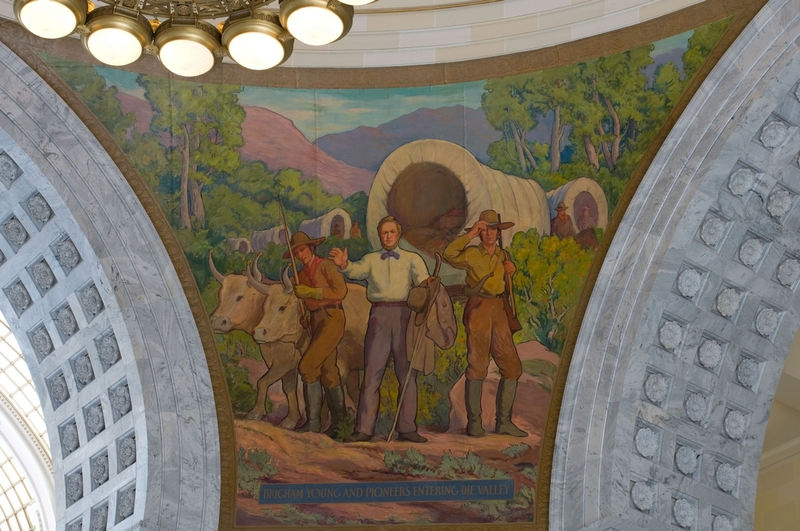 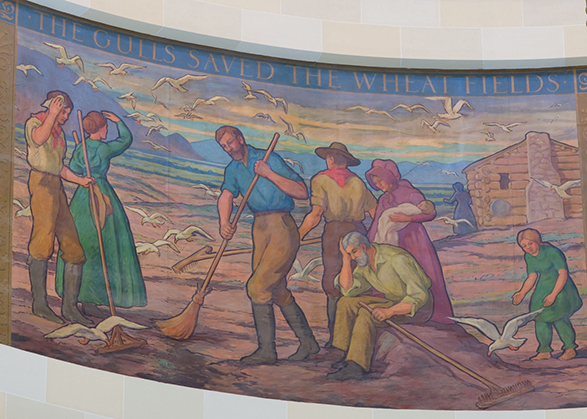 Completed in 1934, the paintings were installed in the Capitol the following year to mark the opening of the Utah Arts Institute annual exhibition. 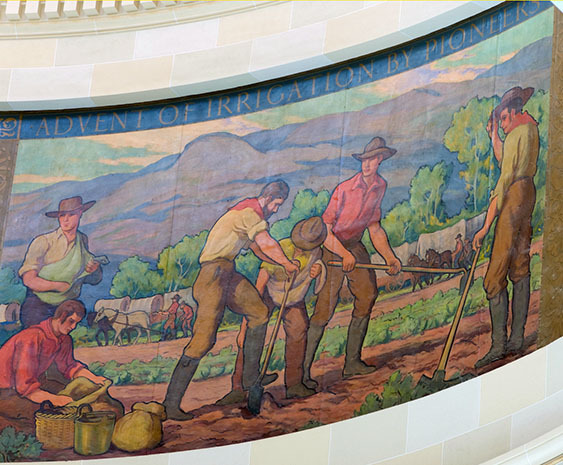 From the French word pendentif, meaning “to hang”, pendentives are large, triangular cut-outs of a sphere that support round or elliptical domes. 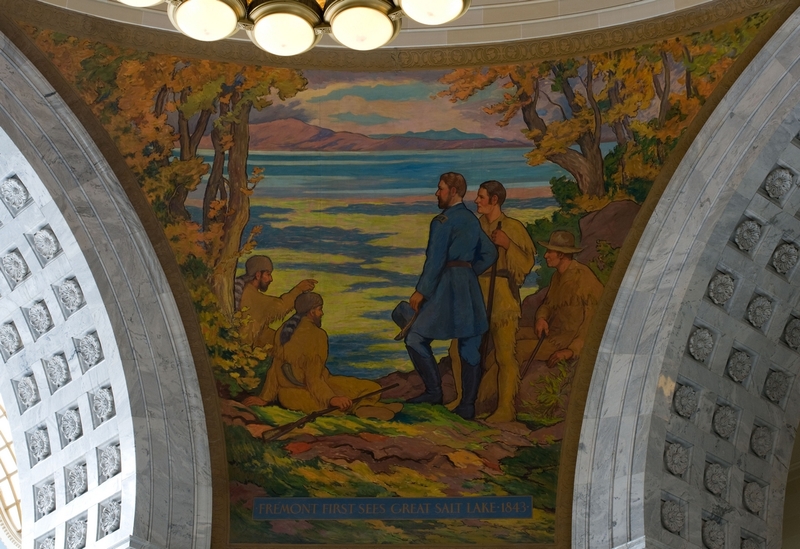 At the Capitol, the pendentives are home to the largest of the Rotunda paintings. 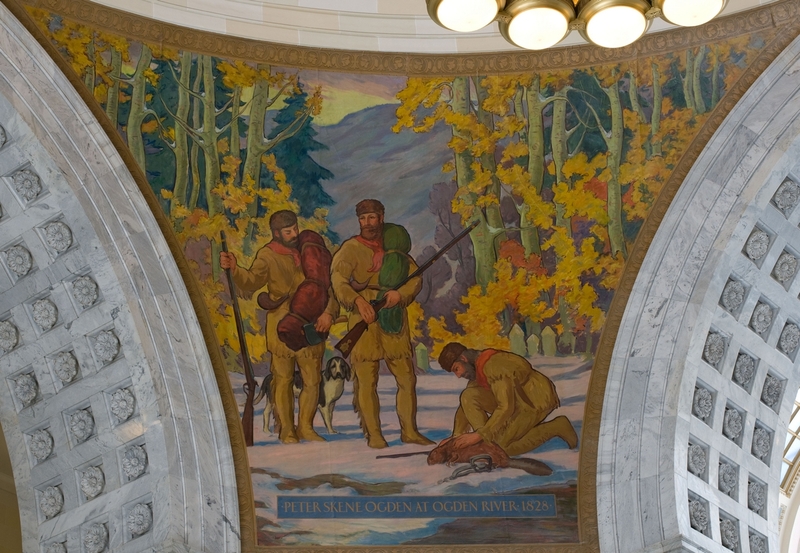 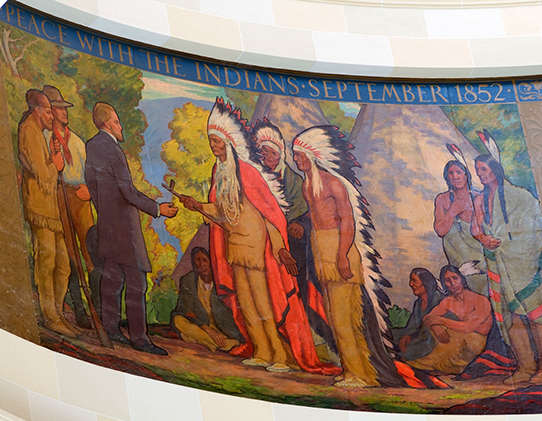 These paintings illustrate the first non-native people known to have explored the territory that would become Utah. 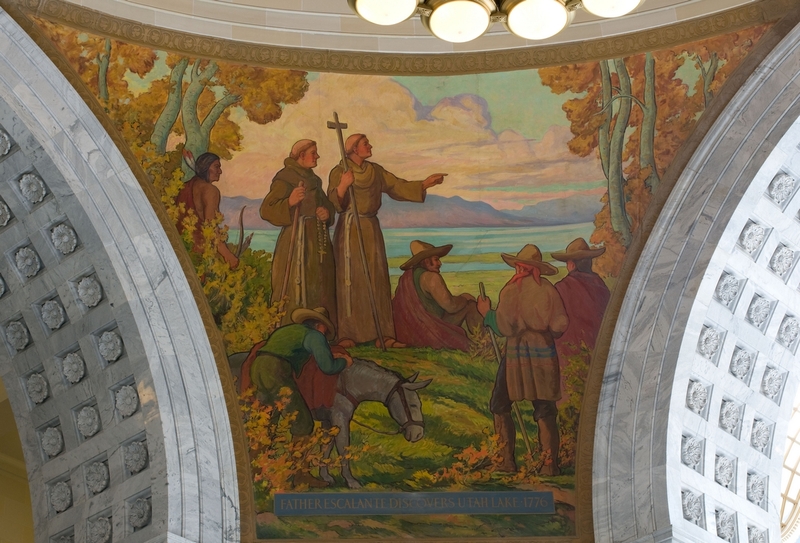 Each of these explorations left lasting contributions to Utah’s modern geographic and cultural heritage: Father Escalante Discovers Utah Lake – 1776; Peter Skene Ogden at Ogden River – 1828; Fremont First Sees Great Salt Lake – 1843; and Brigham Young and Pioneers Entering the Valley. 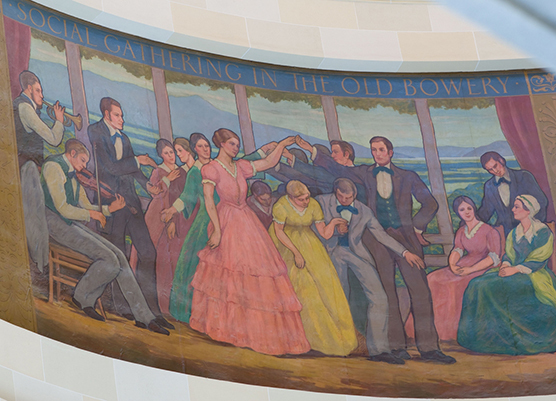 These impressive scenes from 19th century Utah life contain more than 100 characters, many of whom are more than ten feet tall. 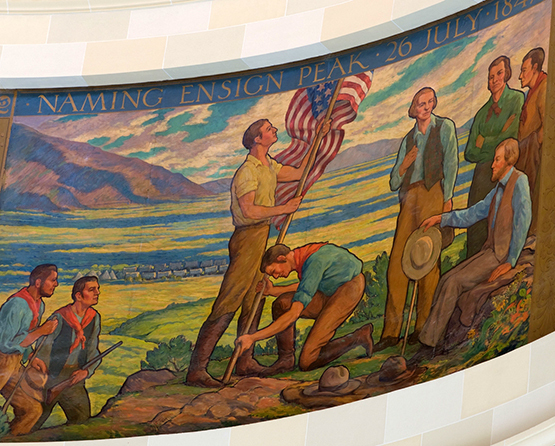 The eight paintings are: Naming Ensign Peak – 26 July 1847, Social Gathering in the Old Bowery, The Gulls Save the Wheat Fields, Driving the Golden Spike, Advent of Irrigation by Pioneers, Peace with the Indians – September 1852, Pony Express and the Stagecoach, and General Connor Inaugurates Mining.